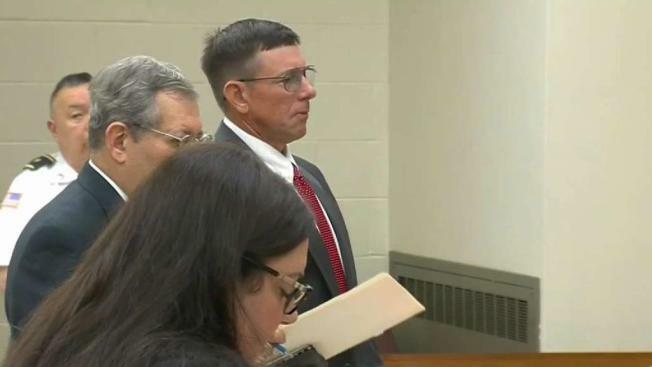 A Cohasset, Massachusetts middle school teacher appeared in court Thursday after he was charged with assaulting a female student in his class. Jeffrey Knight, 57, pleaded not guilty to two counts of indecent assault and battery on a child under 14 and two counts of indecent assault and battery on a person over 14 during his August court hearing. Authorities said the Cohasset middle school instructor intentionally and without justification indecently touched a female minor in his class. Police said all charges against Knight involve the same student and the alleged assaults are said to have occurred this year and the previous year. The suspect has been placed on paid administrative leave from the school.